Quality assurance testing, also known as QA testing, is a significant part of the manufacturing process for electrical components like engines, transmissions, generators, and other power systems. QA testing consists of a set of activities done to ensure that businesses are providing the best possible product to their customers. It also focuses on how processes can be improved during manufacturing to deliver a quality product that complies with modern industry standards. QA testing is designed to prevent business owners from manufacturing inferior or malfunctioning products. If you want a product to be received well by your target market, you need to prove that it is both user-friendly and reliable. This can be done by properly testing it before selling it to consumers throughout a series of quality assurance and quality control protocols. You might be wondering what the difference is between quality control and quality assurance. They are actually closely related. 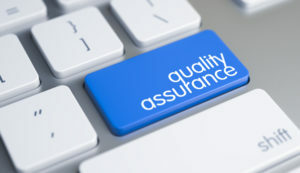 Quality assurance involves analyzing the processes associated with developing the product and how these processes can be improved to create the best product possible for the customer. Quality control is the next step. It involves examining and testing the product after its development to ensure that it meets quality standards that have been set by the industry. If a problem is identified during the testing, it will need to be addressed before the product can be brought to market. Why Is Quality Testing So Important? Not only will quality testing ensure that your product functions optimally, but it will also help you preserve your company’s credibility in your industry. You don’t want to be known as the company that makes subpar products that perform inconsistently. This can result in you losing business and hurting your overall bottom line. In order to succeed, you want to be recognized for producing good products that your clients can rely on to work well. To do this, you should make sure that each and every item you produce maintains high quality standards according to industry specifications. The best way to do this is through rigorous quality testing. You’ll be able to catch any defects with your product and address them before mass production. While you may be tempted to do the testing yourself, it is best left in the hands of an unbiased quality specialist. This person will handle all of the testing through the manufacturing process to the end result. Their main focus is to protect your business by keeping defective products from reaching your customers. Early detection:Quality testing will allow you to catch any performance problems with your product before it is released to consumers. You can take this information and use it to improve the item as needed until its quality is deemed acceptable after testing. Risk management: It is true that companies always take a risk when developing a new product. However, through proper quality testing procedures, you can minimize the risk of recalls as well as the need for additional tests after the final sale is made. Compliance adherence: Electrical components must meet specific quality compliance standards. QA testing is designed to help you avoid potential compliance issues before bringing a new product to the market. Consistency:Ideally, each manufactured product will function the same as the others in its specific line. This increases the reliability of your brand among your target market. Through pre-market quality testing , you can greatly increase the likelihood that each and every product your company manufactures will work as your clients expect it to. Though some processes may differ from industry to industry, in general, many professionals who perform quality testing on electronics use standardized testing procedures. These strict guidelines are intended to ensure consistent product quality from the development stage to market release. The specialists will evaluate any available data and then record results of all tests that are performed on the product. As needed, they will also offer specific recommendations on how a product can meet quality standards. This may include monitoring the products through the entire manufacturing process to determine where improvements can be made along the way. Once a product has been thoroughly tested and passed, manufacturers can be confident in its reliability and then bring it to market. Many electrical components use software that must comply with current standards. The software will need to be thoroughly evaluated for its overall stability and user-friendliness. If the software fails to meet standards, then recommendations will be made on how it can be improved. Are you looking to apply for a national certification for your product? Testing can help you meet the specific requirements by making sure your product adheres to industry quality standards. Industry experts use a variety of tests to determine the level of quality control that’s used during the manufacturing process. This includes evaluating how well the product functions once it is developed. Results will show if the quality control steps are sufficient enough to ensure that a good and reliable product is brought to market. During the pre-sale stage, products can be tested to determine their quality before starting mass production. This helps protect businesses from producing an inferior product, which could result in serious consequences if it were to be released without sufficiently testing it first. Proper quality assessments by trained professionals help ensure that every manufactured product complies with industry standards. The specialists from Valley Power Systems are here to help if you need QA testing assistance for your business. We’re your #1 source for power solutions in California. Contact us today for more information about QA testing.